It doesn’t matter the dimension of your garden, snails will always be a problem for each gardener. 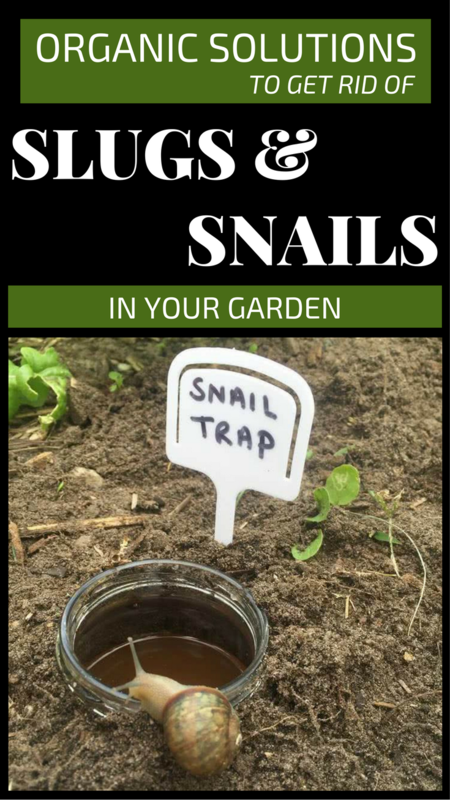 But in this article you’ll find some homemade solutions to get rid of snails without using chemicals. Snails, especially slugs are among the most common pests in the garden. A garden without chemicals it’s the perfect environment for snails and slugs, and their presence is very damaging for your garden. The strategy to help you to get rid of snails involves their prevention and destruction. Trimming the grass, removing areas where water is pudding and compost piles is the first step you should take to get rid of snails. Compost should be kept away from the flower and vegetable area. The second part involves getting rid of snails and preventing them to conquer the entire garden, meaning that you have to build barriers from spiky and organic materials. The best materials are sawdust, egg and walnut shells, and sand. Put around the flower and vegetable areas a sand barrier or chopped straws. Snails can’t pass over these barriers. Small gravel with sharp edges is a good solution. Trimming the grass so that it stays sharp prevents the snails from moving around the garden (the solution is not practical for the lawn). Some odorous substances can keep snails away from flowers and crops. The most effective are coffee, cinnamon and pepper mixed with sand. Hot pepper tea is also a good solution. Prepare a hot chili pepperoni tea with water (5-6 chili peppers per liter of water). Boil the tea in a pot with lid for about 5 minutes. Tea boils with a lid well placed on the pot for about 5 minutes. Let it to cool then put it in a spray bottle, and sprinkle every evening around the flowers or crops that you want to protect. Cover your nose and eyes with a protective mask and sunglasses. It’s advisable to use this solution when it’s not raining. As effective is lavender infusion, ginger or horseradish tea or you can grate ginger and horseradish and sprinkle it around the flowers. Another effective solution is to use copper strips or wires around the area you want to protect.